How can a woman cursed to look like a beast make a handsome prince propose marriage? Sybil de la Roche was once the belle of the court. Now she is more hideous than any woman in the kingdom. To restore her beauty, she must receive a marriage proposal. Forty years and twenty-eight rejections later, she decides to break the curse on her own. But when a personable young man arrives, she is torn between hope and dread. Prince Gerald is widely renowned as the best-looking man in Savony. On a quest to find a mage who has disappeared for years, he is stranded at a remote manor in a snowstorm. His interest is piqued by the mysterious woman in the manor, but his desire to get to know her is foiled by her determination to avoid him. 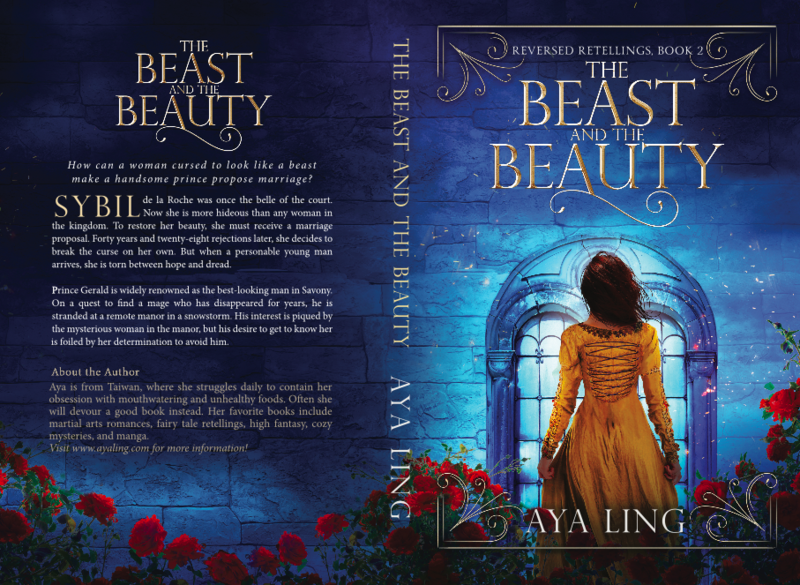 For maximum enjoyment, it is recommended that you read Book 1, Till Midnight, prior to The Beast & Beauty. Welcome to my website! I'm Aya, a YA writer of fairytale retellings and fantasy. Poke around and have a look at my current list of books, sample some free fiction, or drop me a line here.